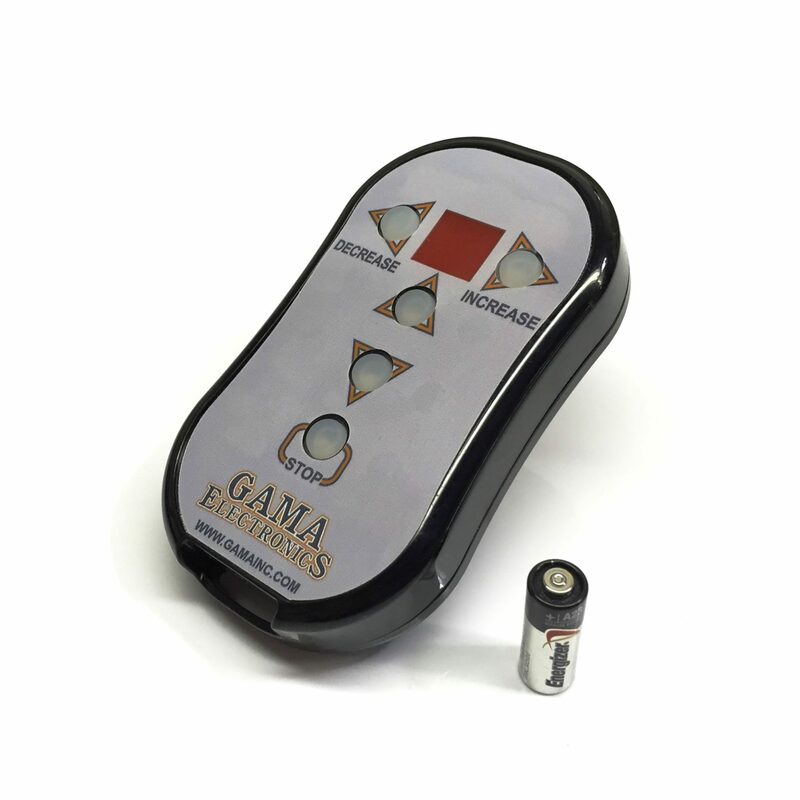 Easily add remote control operation to overhead doors. 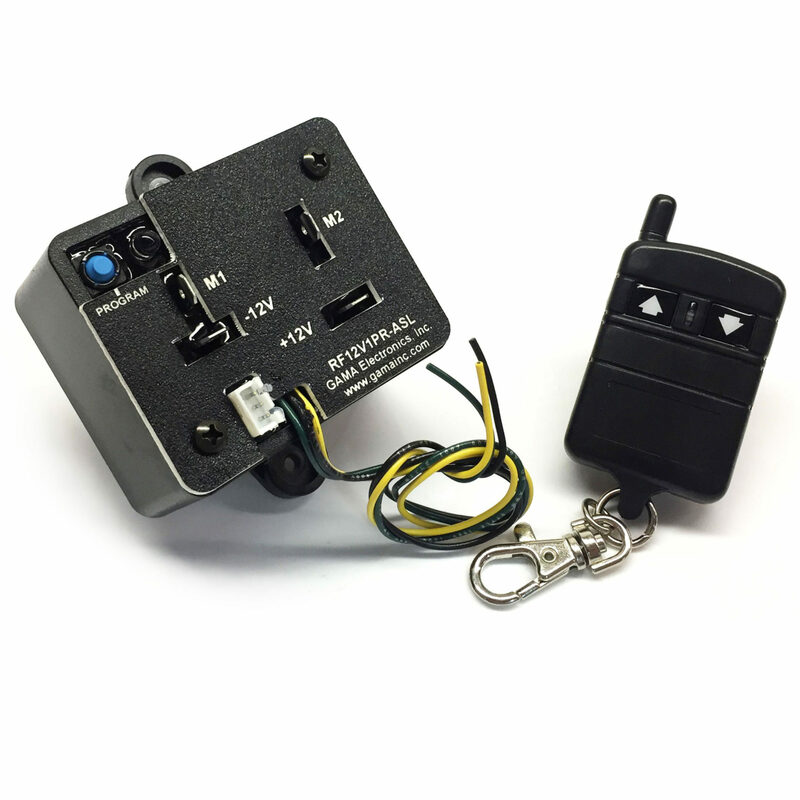 The RF340-DRC is a wireless control that connects to existing industrial overhead doors to provide remote control operation of the up, down and stop functions. 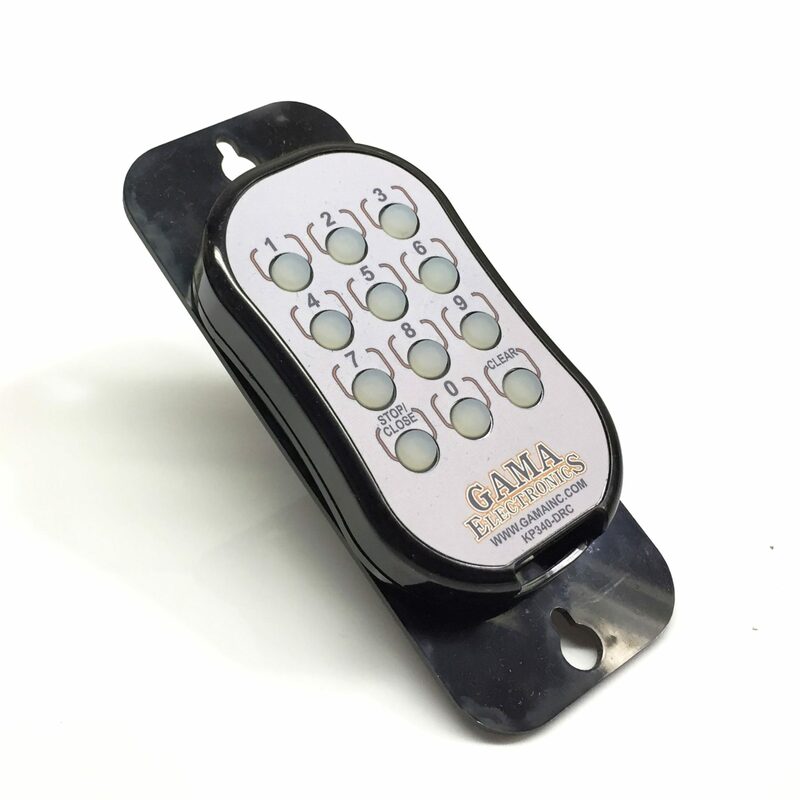 The control connects directly to the 3-button operator control switch which will continue to function normally. Installation is simple and can be completed in less than an hour. 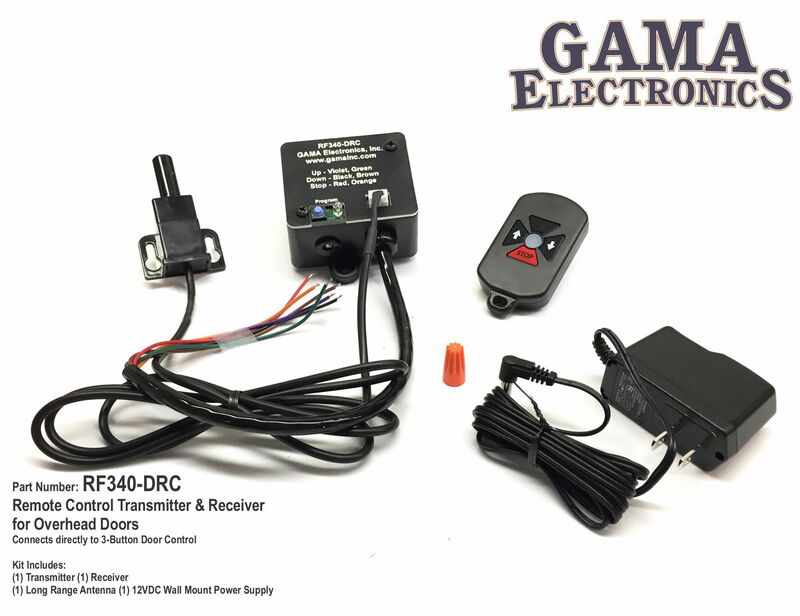 The RF340-DRC is powered by a 110VAC plug-in power supply and provides contact closures so it will work with most door operators. 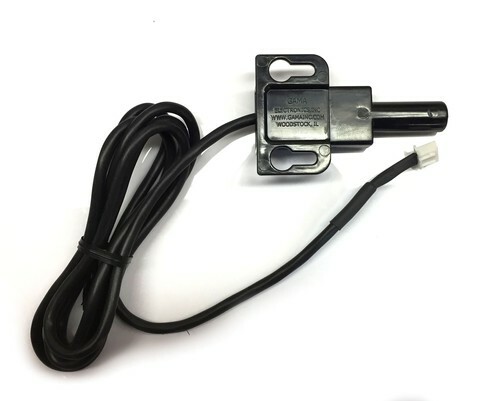 The small, waterproof antenna can be mounted either indoors or outdoors. With the antenna mounted outdoors, you can expect range of up to 500 feet. 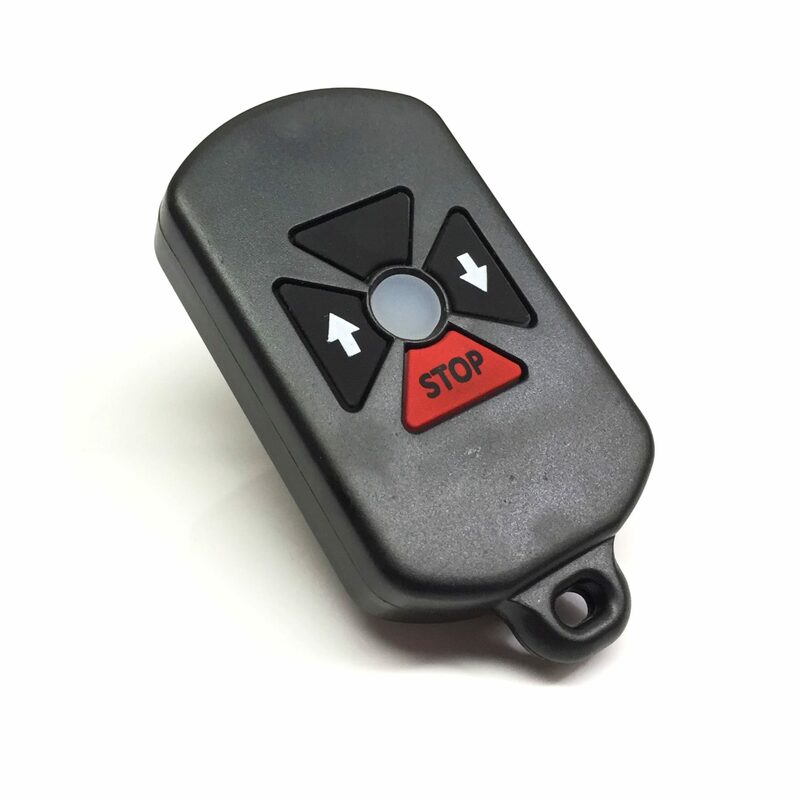 Up to 40 3-button keyfob transmitters can be programmed to operate with each receiver. 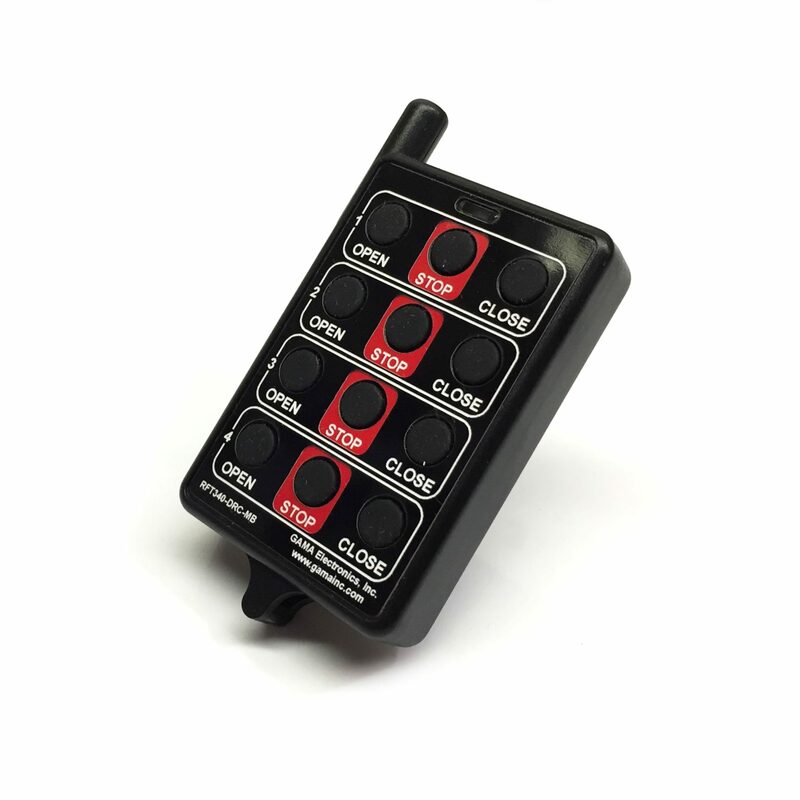 We also offer a 12 button transmitters that can control up to 4 separate receivers. All transmitters use “code learning” for programming so it’s easy to assign transmitters to specific receivers. This also makes it simple to disable lost or stolen transmitters. 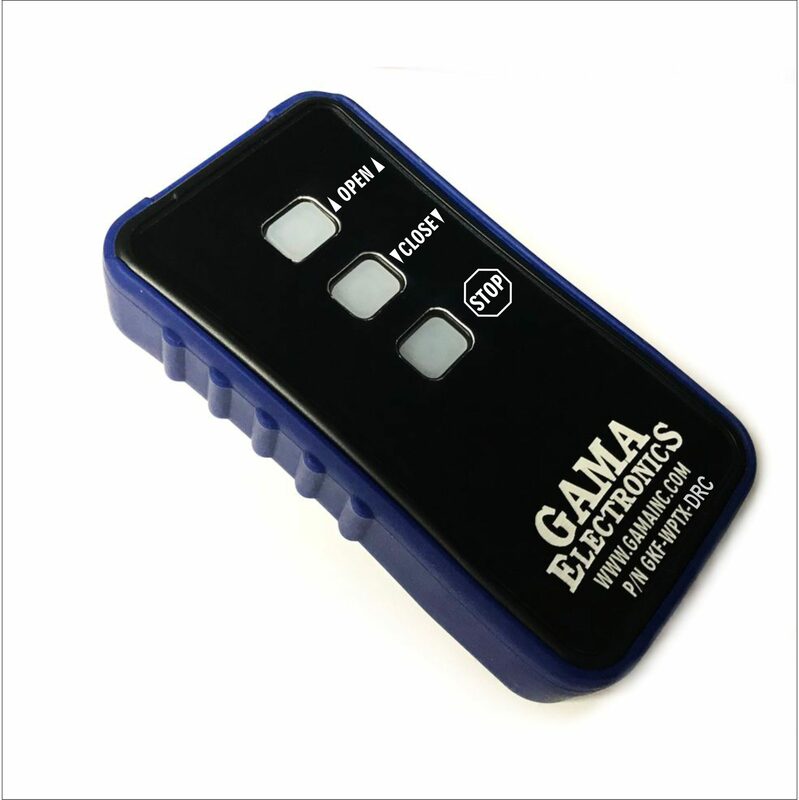 The control kit includes the receiver, waterproof antenna, plug-in power supply, 3-button transmitter, and VHB mounting tape. 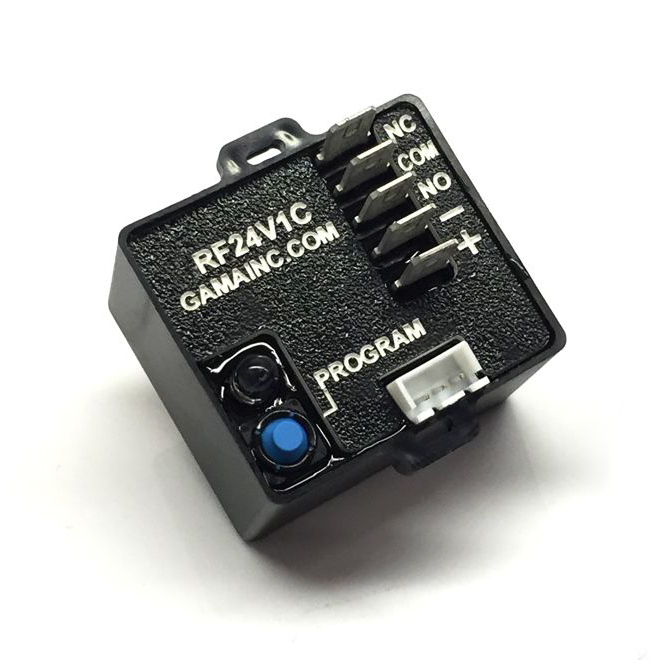 The 12 button, multi-control transmitter (P/N RFT340-12DC-MB) is sold separately. 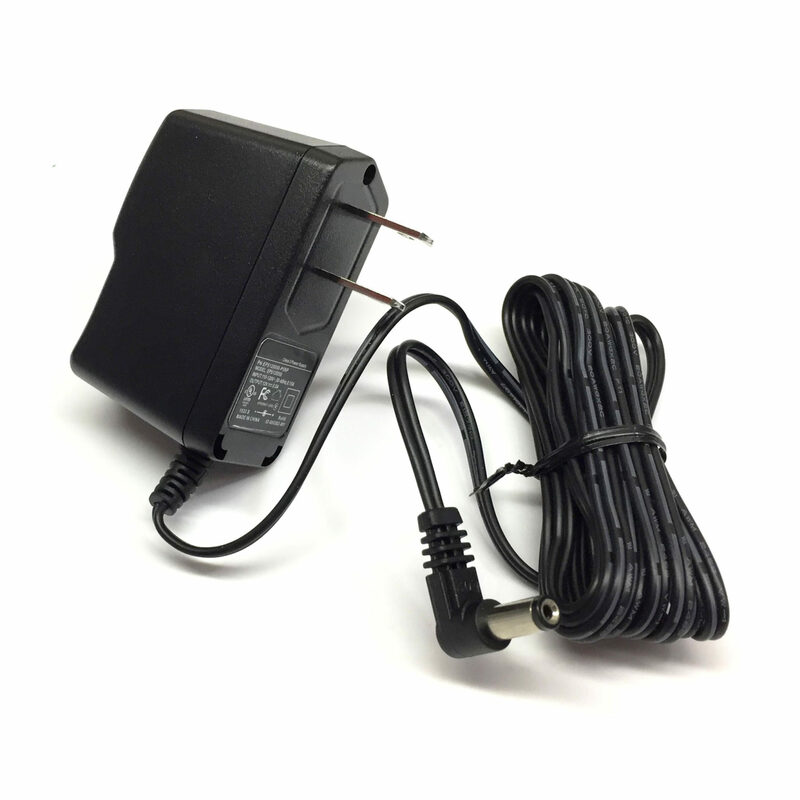 The control is FCC certified and proudly made is the USA. Add to existing industrial overhead doors to provide remote control operation of the up, down and stop functions. Up to 500 foot range with exterior mounted antenna.